Yellow Jacket iPhone 5 Stun Gun Case. Need a stun gun? Get the yellow jacket iPhone case. iPhone users can now fend off criminals and look stylish all at the same time. The Yellow Jacket iPhone 5 Stun Gun Case has an external battery that double the life of the phone. The firm announced at CES that is will release the case for the iPhone 5 in February. Yellow Jacket iPhone 5 Stun Gun Case also includes a 650kV stun gun designed to deliver a sharp sting to your attacker. Yellow Jacket explained that it is not as strong as an actual taser, but it should hurt enough to distract a mugger long enough to escape. In some cases it may cause temporary paralysis. 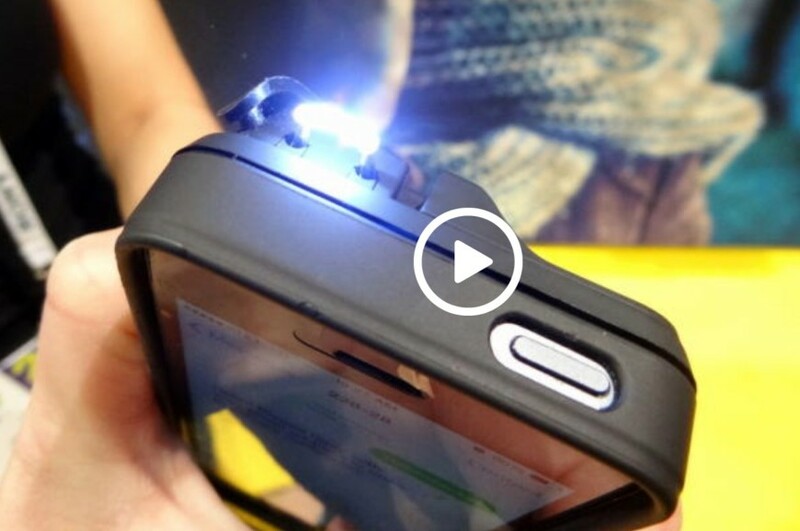 Yellow Jacket iPhone 5 Stun Gun Case is capable of discharging 800 seconds of electroshock from a single charge. This product has multiple safety features to ensure that it does not accidentally shock it’s user. Yellow Jacket iPhone 5 Stun Gun Case may be considered a concealed weapon and has been banned in several states. Potential buyers are advised to check their local state laws before purchase.